Wow, this takes me back. The first thing you might notice is the fact that this is just a homepage that doesn't point anywhere. All the links are nonfunctional. 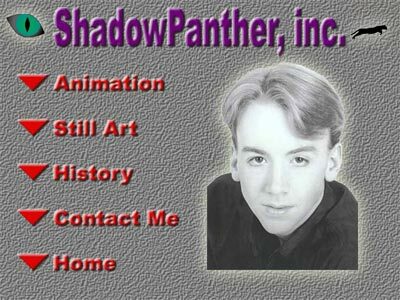 The third thing you might notice is the prominent image from my headshot from when I was with John Robert Powers back when I went to compete in the International Modeling and Talent Association convention in Los Angeles in 1999. Yikes, was I ever this young?